Yesterday I shared with you Dior’s Trianon collection for Spring 2014, a collection of beautiful pastel shades with bright pops of colour. Although quite chilly in Toronto, today’s beautiful sunny day inspired me to reach for the coral, peach Dior Vernis in Bouquet… and what better way to add some pop to your life than with a gradient? How absolutely pretty is Bouquet? 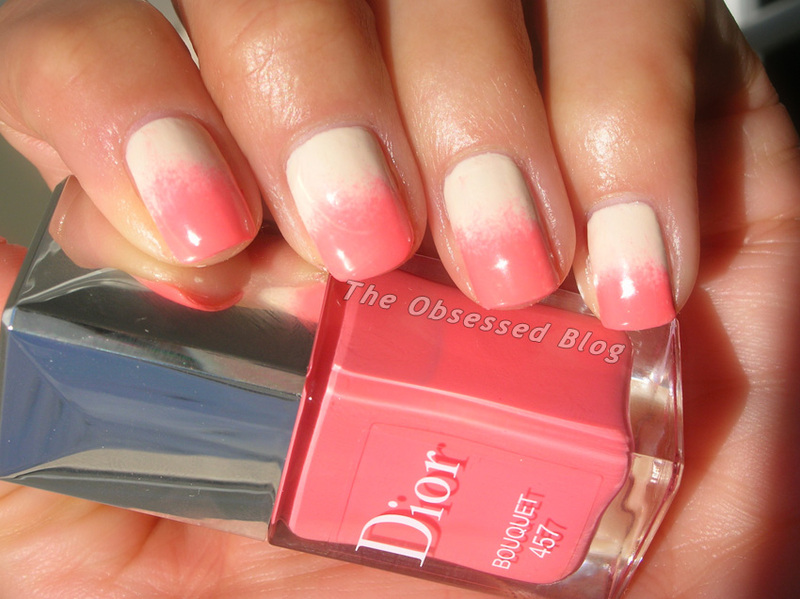 Don’t forget to check out Dior Vernis in Porcelaine and Perle in yesterday’s post, if you missed it! I absolutely cannot wait to wear the Dior Vernis Trianon shades – the colours are pure perfection and make me think of sunny days ahead. 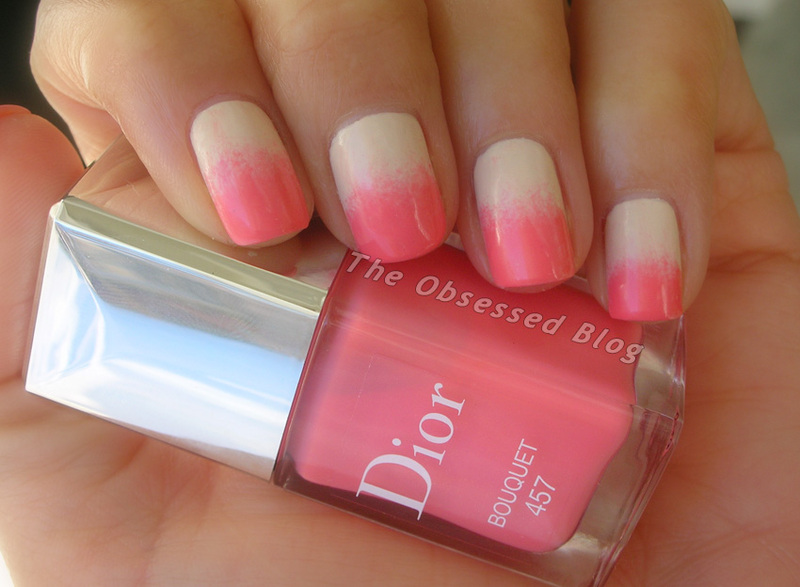 Dior Vernis has quickly become a favourite in terms of colour choices, wear and durability, and that shine is amazing! All four new shades are available in limited release beginning in mid-January. For more information (no shipping available to Canada), head to Dior.com! and shop online at thebay.com!